Hello out there. I have finally joined the blogging club. We have a beautiful family. 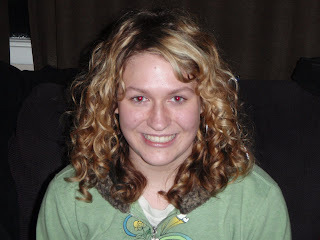 I have two children from my previous marriage, Taylor, 13 and Matt, 9. 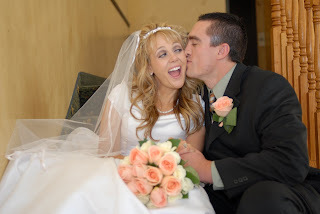 I got married November 21, 2007 to Aaron and now we are expecting a baby boy. He is due to arrive June 9, 2009. So you will see a lot of posts from me in the future of my growing belly (which is huge by the way) and of course of my kids. 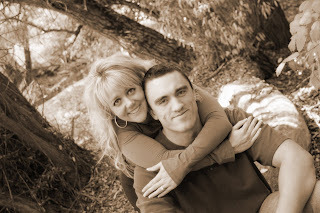 I added some pictures that I thought were fun, and can update you on our family. The first pic is from my wedding. Aw....my cute lovebug. Yes, he is tall, dark, and handsome. The next pic is of Matt. 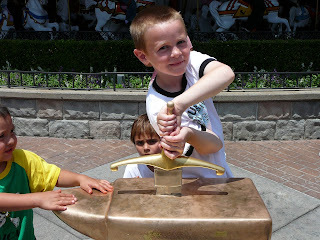 He is pulling the sword from the stone at Disneyland. I love that kid. Then you'll see Taylor, my oldest. I know, she looks older than she is. So men stop whistling at her, she is a child! And last you'll see another picture of Aaron and I. Well I am sure this site will look ghetto for awhile. What do you expect, this was a quick lunch break creation. Yay you now have a blog. It's about time! You better make sure you keep it updated.